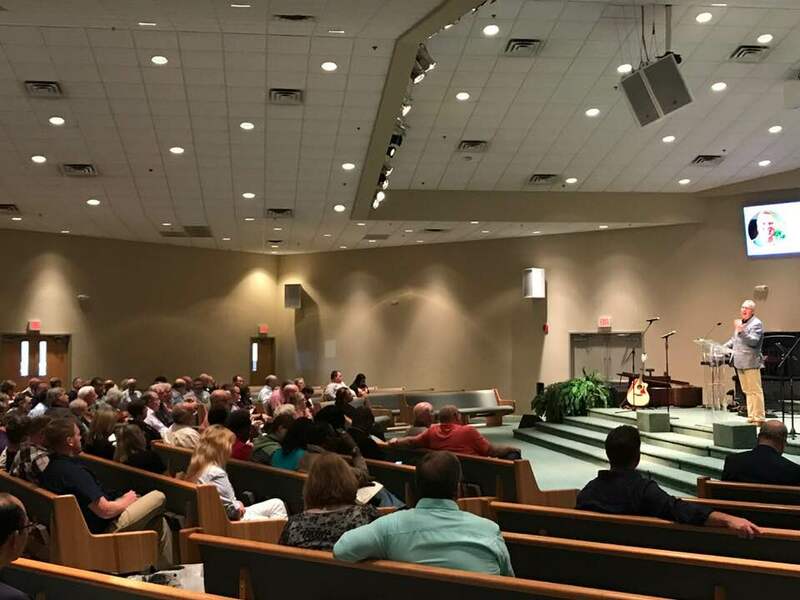 More than 200 pastors and church leaders gathered Tuesday night for the East Florida region Evangelism Conference at First Baptist Church of Palm Coast. 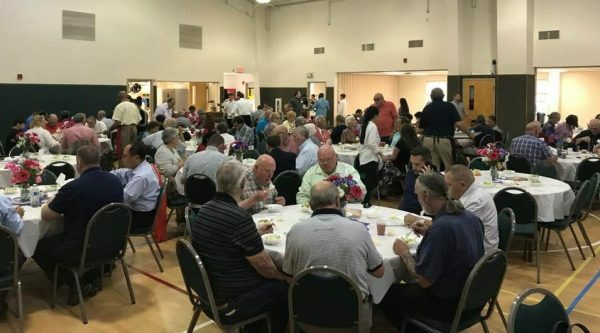 Special guest speakers included Tommy Green, executive director-treasurer of the Florida Baptist Convention and Mac Brunson, co-pastor of First Baptist Church in Jacksonville. The worship team was led by Brian Woofter, worship pastor at Fruit Cove Baptist Church south of Jacksonville, and featured violinist Lori Jean Smith. 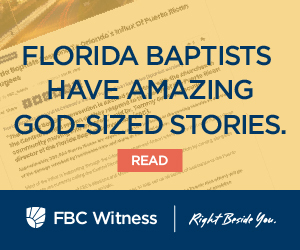 Glenn Rogers, director of missions for the Seminole Baptist Association, said there was no other word to describe the event but “excellent.” He said he was inspired to be diligent in personal and corporate evangelism and he was encouraged by the fellowship, teaching and music. “I was personally moved by the Lord,” he said. Steve Loy, pastor of Spruce Creek Baptist Church in Port Orange, also attended. He said the messages shared re-emphasized the urgency of getting the Gospel out into the community. Loy also appreciated the chance to meet other pastors in the area and build some friendships with pastors he’s never met before. Rogers, who formerly served with the Nevada Baptist Convention as the director of evangelism and prayer, knows what it takes to put on an impactful evangelism conference. He said, considering the number of people present and the fact that they served a phenomenal dinner, the logistics were impressive. “It was faster than fast food,” he quipped. Rogers shared that one of the most poignant moments for him was when Mac Brunson told of witnessing to a drive-through attendant at a Wendy’s and also to an ambassador from Afghanistan. Though occupying very different stations in life, their need for Jesus was the same. “If we have a heart for sharing, the opportunities are there,” Rogers said. Rogers likes the regional approach to the evangelism conference and feels like there are opportunities to reach more people this way than in one statewide event. He plans on promoting next year’s event through his association as well as personally to get even more people engaged. 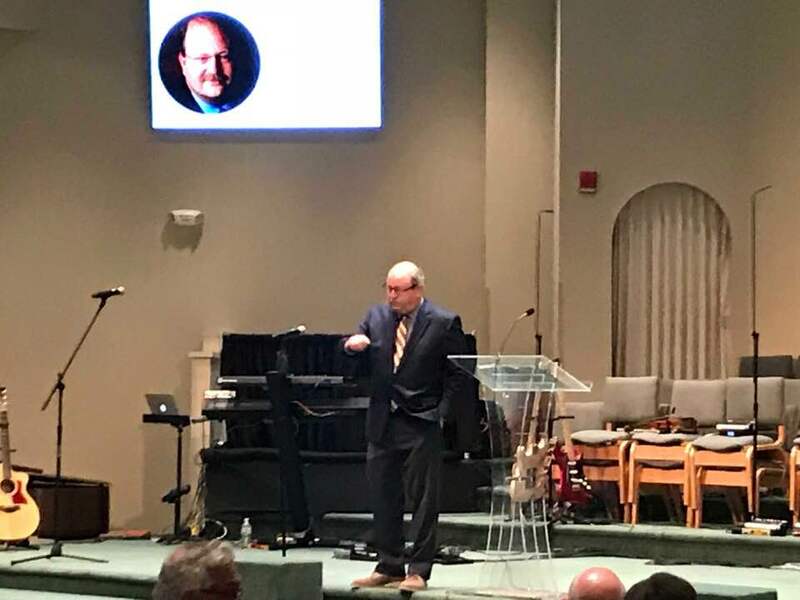 Craig Culbreth, FBC’s East Florida catalyst, said it was an amazing night of preaching, testimonies, music and fellowship – not to mention a great meal. Acts 2:41 Beach Baptism – here’s what’s happening!